Laila Ijeoma, CEO, LailasBlog.com was Recently Interviewed By One of Nigerias Top Leading News Paper, Bulletin.Com.Ng Gathered that the Vetran Blogger Has also been interviewed by PUNCH, NigerianTribune AND ALSO with Ebuka Uchendu on ChannelsTV Rubbin Minds, Here is what she said Below! My interview with Vanguard, guys. In it, I talked about how I quit banking, which I did for 10 years, for full-time blogging – craziest, most daring decision I ever made in my life. Enjoy the excerpts below. In the Nigerian blogosphere, Laila Ijeoma commands a lot of respect, not just because she owns www.LailasBlog.com; an entertainment website that reports trending Nigerian news read by millions monthly. I started blogging as a joke in 2012; I wasn’t looking for money because I was already gainfully employed at that time. All I wanted was an outlet to share my life with Nigerians, inspire them with my stories. So I started a Facebook group called, ‘True love for my man’- that should be around 2010. That was the first social media account I used to gather people together and we chatted about love and heartbreak. My big dream had always been to have a top Nigerian talk show, so I later started a show on radio. I eventually had to put it on hold because it was so demanding. Being married, a mum to 3 boys, working at the bank, there was a lot to do in just 24 hours every day and the whole schedule nearly ‘killed’ me, so I had to drop the radio show. Along the line, I discovered blogging through a colleague at the bank where I worked; he owned a blog, after he introduced me to it that fateful day, I got hooked. I realized I could reach out to people through it with much less stress compared to a radio show. I told him I would love to have mine and he helped me set it up. I didn’t even take it serious then. But as I kept on sharing stories, and I read comments from my audience, I knew this was what I was born to do. I have always been a science student in school, I knew nothing about blogging, and I had zero celebrity friends, zero celebrity sources for my stories but I didn’t let that stop me. It was a crazy, hectic schedule! On a daily basis, I wake up 4am; go to bed sometimes 12 midnight. And the next day, I still have to go to work. No excuses. I was able to run my life like that for four years because I was purely fuelled by passion. I just love blogging, there’s this irreplaceable, beautiful joy it brings me. As with every new venture, the beginning is usually slow. 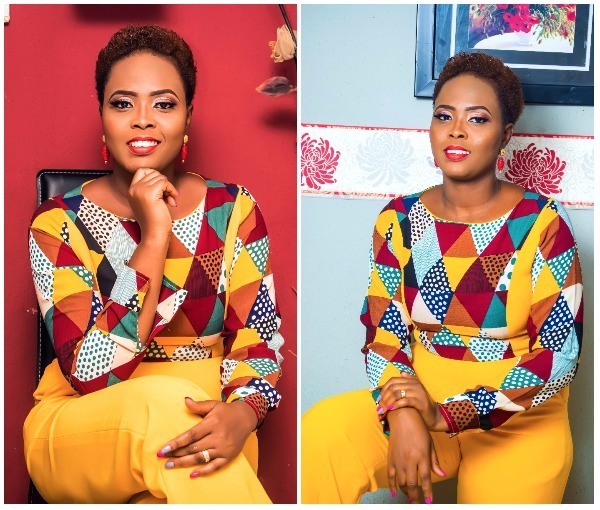 1 Response to "Blogging is a more lucrative job than banking – Laila Ijeoma, CEO, LailasBlog"
Wow! What a nice write up.